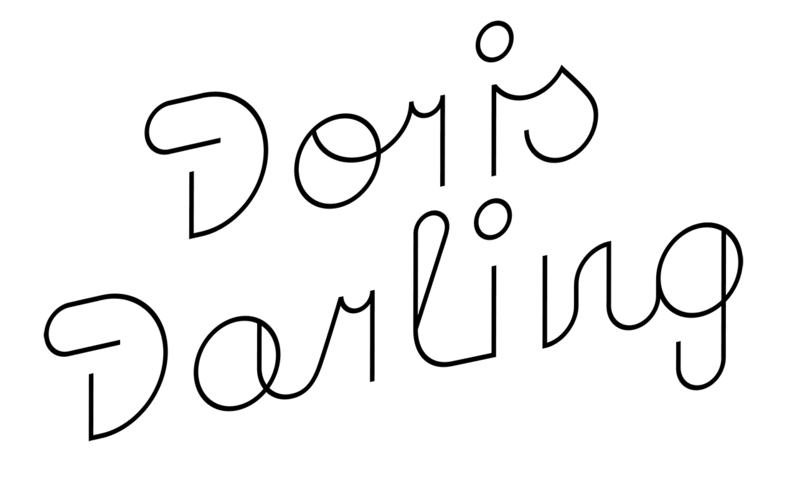 Product Designer & Interior Stylist Doris Darling asked me for a logotype. For the extraordinary person that she is, we found a chameleonesque and slightly surrealistic lettering would fit best. Something, that doesn’t look like you could expect a “Darling” to look, and that can have a monolinear version for engraving in her glass lamp bubbles.